It was about what he wants to do with the rest of his life. “I want to help people,” he said. He knows that innumerable people have helped him along the way, from Max Good at Maine Central, to Jim Harrick at URI, who gave him confidence, assistant coach Bill Coen, who made him start to believe in his talent. It’s also the way he was raised, his version of spirituality, the sense that you help others when you can. So he helps fund an AAU team in Philadelphia. He built a basketball court in Africa. He helps out his old high school. He has a foundation in Philadelphia that helps single mothers and homeless kids. “You get it after a while,” Mobley said. “You know what you’re supposed to do.” One of the things he wants to do now is start a wellness center in Warwick, one that will be allowed to dispense medical marijuana. He says he got interested in the field of wellness both through his own medical condition and those of other people close to him, and adds that the health field is one of the fastest growing in the country. The plan also is to get more involved in Rhode Island, this state that helped him at a vulnerable time in his life, this state that saw him go from a young, unstructured kid to someone who grabbed the basketball dream and has made the most of it. This state that he feels has tremendous potential, a future he wants to be part of. Legendary Los Angeles ska punk band Sublime have signed to Fueled by Ramen, and this summer will release their first LP since original frontman Bradley Nowell died in 1996. The group - now billed as Sublime With Rome - features surviving members Bud Gaugh and Eric Wilson alongside twenty-two year old Rome Ramirez, who joined the reformed group in 2009. The band is currently cutting the disc at Sonic Ranch studio in El Paso, Texas with producer Paul Leary, who worked with the band on their self-titled 1996 LP. “Everything’s been going amazing in the studio," Ramirez said in a statement. "The music has been coming along great, and we’re confident that we’re making a record that will stand the test of time. We can’t wait for the fans to hear it, and are already planning a world tour to bring it to them live.” Details of the tour will be announced shortly. After Nowell's death in 1996, Wilson and Gaugh carried on for five years as Long Beach Dub Allstars. Meanwhile, Sublime's legacy grew as teenagers across the country discovered the band's music. Sublime tribute bands began attracting gigantic crowds, and in 2009 Wilson and Gaugh recruited Ramirez began performing as Sublime until Nowell's estate filed a laswuit claiming they didn't own the rights to that name. The matter was quietly settled last year, and Sublime began performing again - only this time under the moniker Sublime with Rome. Smashing Apps has been featured at Wordpress Showcase. If you like Smashing Apps and would like to share your love with us so you can click here to rate us. As entertaining as they are, unfortunately portable media players cannot handle all media types you throw at them. Unless there comes an all-format-accepting portable media player, we have to use video conversion software to transform our media type before our iPhones and iPods can play them. For my fellow iPhone and iPod owners who are looking for a competent yet free software solution for video conversion, here are 5 of the best options available online. I am sure that you will find them as useful as I did. 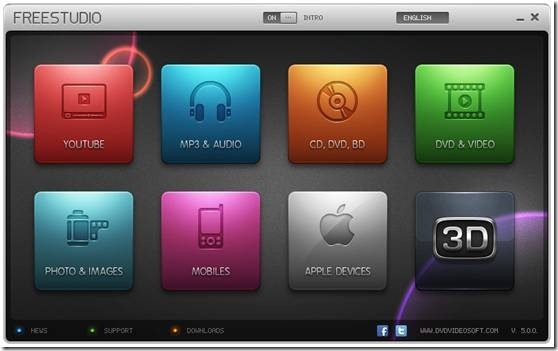 FreeStudio is DVDVideoSoft’s handy video conversion freeware that will excellently suit iPhone and iPod video conversions. 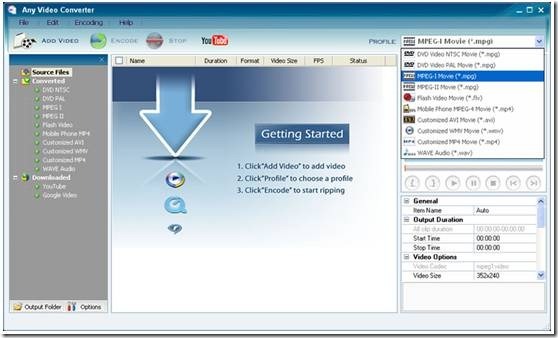 The application is compatible with Windows computers and facilitates various video format conversions. While its download size is quite high – 58MB – the features surely justify it. 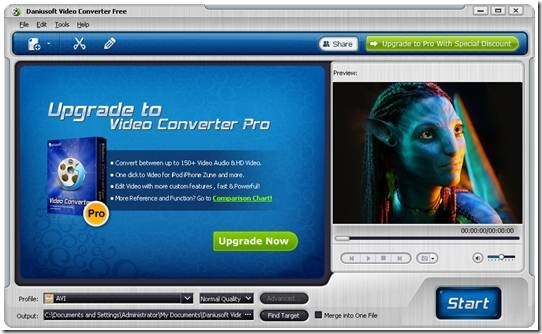 In addition to iPods and iPhones, Daniusoft Video Converter Free also supports video conversions for PSP, Zune, and other cell-phones and portable media players. The download is 12MB, much smaller than the abovementioned program. Supported media formats include AVI, MP4, WMV, MOV, MPEG1, MPEG2, FLV, MP3, WAV, and WMA. You can install Daniusoft Video Converter Free on your Windows computer. Any Video Converter Free is a personal favorite of mine because it excellently blends functionality with an appealing user interface. A wide variety of media formats are supported and converting video for your iOS device will be very easy. You can control advanced conversions options as well such as video and audio bitrates. Quick Media Converter comes in the setup size of 28MB. Along with supporting video conversions between various file formats, it provides a progress bar with each conversion process so you know how much of the process has completed and how much is left. Although Format Factory does not offer the prettiest user interface, it does offer the most functionality out of the other entries in this list. 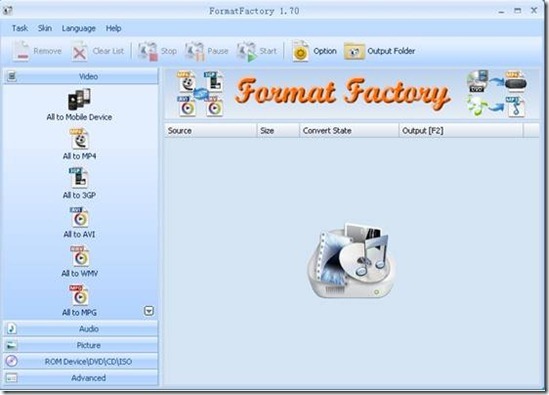 Supporting media conversions between various video, audio, and image formats, Format Factory can quite easily become your default media conversion application. The program has a setup file size of 38MB. Dramatic Amateur Video of the tsunami crashing over the seawall into the Japanese town of Miyako.